I wasn’t tempted by e-books. I stare at a computer all day and when reading for enjoyment, I prefer holding a book. Further I can find a comfortable position on a train or in a pile of pillows at home and balance the book on my lap. “According to the American Booksellers Association (ABA), a non-profit trade organization for indie book shops, its membership grew for the ninth year in a row in 2018, with stores operating in more than 2,400 locations. 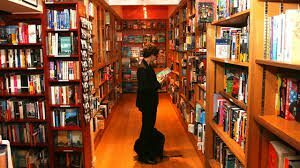 Not only that, sales at independent bookstores are up approximately five percent over 2017.” So wrote Joshua Fruhlinger in observer.com. Alexandra Alter in The New York Times used the word blockbuster to describe 2018 results for book publishers. “Hardcover sales are up, and unit sales at independent bookstores have risen 5 percent.” She mentions three books–“Fear,” “The President is Missing,” and “Becoming”–that passed the million-copy mark. 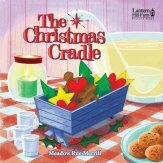 Sales of some books were so brisk that they were out of stock at the height of gift-giving time. That’s not so hot for the authors who lose in both royalties and ratings. The reasons for the book revival? Fruhlinger attributes it in part to “the simple joy that comes with scanning bookshelves and the subsequent, sensual act of reading an actual book. 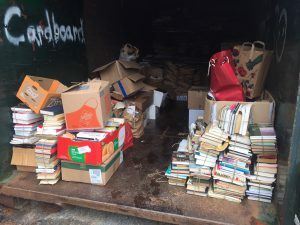 It seems that of the very few things people want to shop for in-person, books are one of them.” And he feels that hearing of the death of the book industry electrified fans into action. He’d end up with nothing to read if he’d forgotten to charge his Kindle before a flight and resented that he couldn’t lend a book he loved. Twice he lost his Kindle when he left it behind, first in a plane’s seatback pocket and then plugged in for a charge in his hotel room. I’d like to add that wrapping and giving a book as a gift is more satisfying than giving a virtual book. 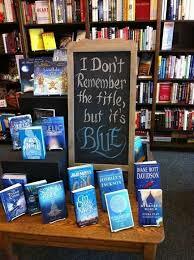 Do you prefer e-books to hardcovers or paperbacks? 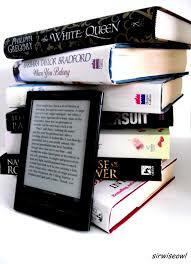 Why do you think e-books are losing the competition in this all-things-digital-are–super-age? If you’re planning to write a book would you try to publish an e-book or a traditional one? Contests that teach, encourage and reward kids to better themselves and/or their communities help us all. Author Karen Russell told NPR “New Yorker Radio Hour” listeners on a recent August weekend about how proud she was to treat her family to a pizza when she was a kid. An avid reader, she’d qualified for a free pie with one topping through Pizza Hut’s Book It program. She’d read 10 books. 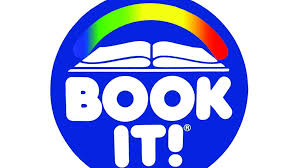 Book It was founded in 1985. 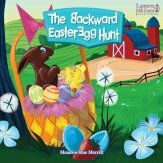 It runs from October 1 to March 31 for children from Kindergarten to the sixth grade and homeschoolers can also participate. Things may have changed since Russell won her pizza. 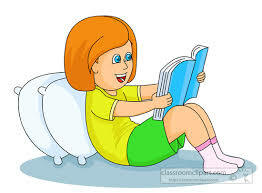 She read printed books and today many children use Kindles and other tablets. Some may still record their books on paper and some access an app that reaches teachers who track their participation. But the goal remains–to promote reading. The National Road Safety Foundation [NRSF] conducts contests for kids to help its campaign to drive down the number of traffic accidents, deaths and injuries here. I know about it because a colleague, David Reich, runs and promotes the contests. One is “Drive2Life,” in its seventh year, in which teens submit messages to be turned into public service announcements [PSAs] to warn drivers about the dangers of speeding. This year’s winner, a California 8th grader, received $1,000 and a trip to New York where he collaborated with Emmy Award-winning producers to script, film and edit his winning PSA, “Cars Aren’t Toys.” The PSA aired on “Teen Kids News” on 150 TV stations. 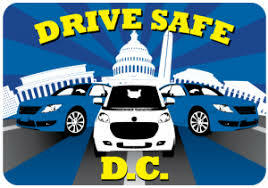 In addition to Drive2Life, there are NRSF Drive Safe student contests in Washington DC, LA, Chicago and Atlanta as well as Safe Rides Save Lives for members of Family Career and Community Leaders of America [FCCLA] and #DrivingSkills101 for Students Against Destructive Decisions [SADD] Chapters nationwide. Can you name other great contests for children? Did you participate in any when you were a kid? Dr. Edith Eger, who at 90 lives in La Jolla, Calif., was a holocaust survivor pulled barely alive from a pile of bodies when the camp that held her captive was liberated. An eminent psychologist, she maintains a busy clinical practice and lectures around the world helping survivors of abuse, soldiers suffering from PTSD and others she wrote about in her memoir “The Choice.” She experienced and observed that many live within a mind that has become a prison. She described how she achieved freedom by confronting her suffering and how she helped others do the same. 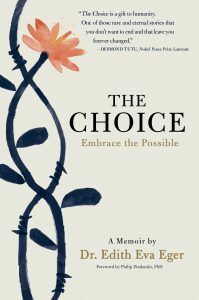 Far from a Pollyanna take on her life, “The Choice” is a compelling, thoughtful–and helpful–read. Rev. 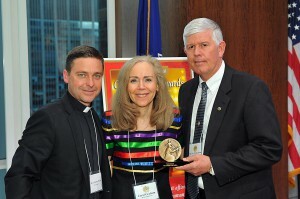 Jonathan Morris presents Meadow Rue Merrill her Christopher Award. 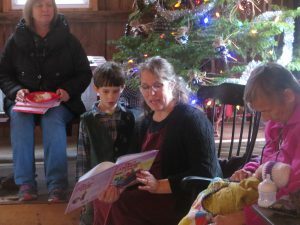 Meadow Rue Merrill, in “Redeeming Ruth,” wrote about her severely disabled adopted child, abandoned at birth in Uganda, whose short life she and her husband Dana and their three kids made the best possible. 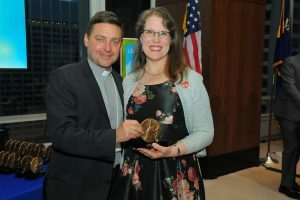 “She was more than just our daughter; she was an ambassador, who opened our hearts to the needs of children with disabilities in the developing world,” said the award-winning journalist. 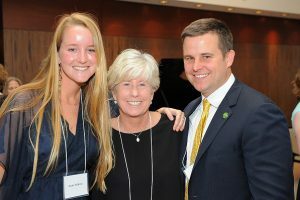 “We miss Ruth every day, but we wouldn’t trade one day we had with her for the world.” Ruth’s spirit lives on well beyond the hearts of her loving family. 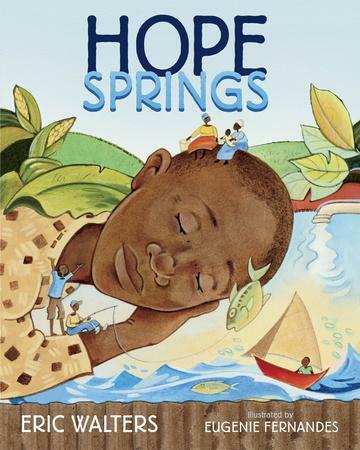 Proceeds from “Redeeming Ruth” support orphans and children with disabilities in Uganda and Meadow and Dana Merrill are dedicated to assisting these otherwise helpless people and to drawing attention to their plight. “Convicted” is about a crooked white police officer, Andrew Collins and the innocent African American man, Jameel McGee, he sent to jail. Collins arrested and charged McGee, who was launching a business at the time, with possession of crack cocaine. Sentenced to 10 years in federal prison McGee served three until his conviction was overturned when Collins admitted to falsifying evidence. Collins resigned due to an investigation for misconduct and was sentenced to 37 months in federal prison for drug possession with the intent to distribute, serving 18 months. Years following their release, the men worked together at Café Mosaic, a coffee shop and community development program in Benton Harbor. Spoiler alert**: McGee forgave Collins, they are friends today and they travelled to and attended the Awards together. **I’m being silly as the subtitle, “A Crooked Cop, An Innocent Man, and an Unlikely Journey of Forgiveness and Friendship” gives away what happened. And you thought your sister in law was unforgivable. 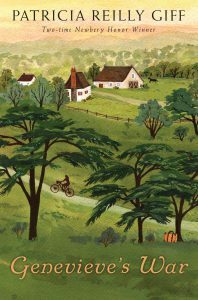 Children 8 and older will read about an American child who makes the decision to stay with her French grandmother, whom she doesn’t like, on a farm in Alsace just as World War II breaks out. They’ll see what happens when Nazi’s move into their home. 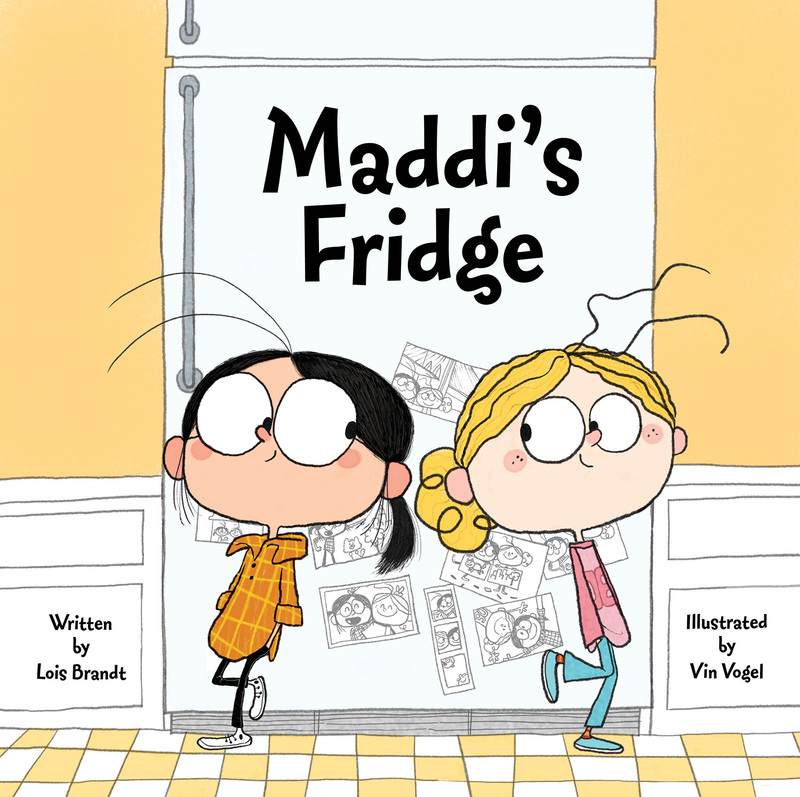 Thanks to Patricia Reilly Giff in “Genevieve’s War,” they’ll learn about deprivation, hunger, fear and anxiety when Genevieve shares a secret with someone who may be collaborating with Germans. She was warned not to whisper a word. In addition to seeing how a clash of cultures can affect family members, they’ll observe the child’s change of heart when love and respect take the place of the disdain Genevieve once felt toward her grandmother. 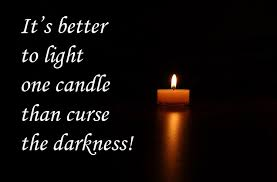 Have you read books or seen films/TV programs or experienced dire situations in which the ancient Chinese proverb “It’s better to light one candle than to curse the darkness” led the way? In addition to The Christophers, for which that proverb guides all its programs, there are other sources that celebrate people who turn negatives into positives such as “The Moth Radio Hour” on NPR and “The Kindness Challenge” on Facebook. 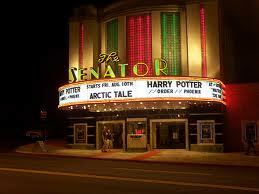 They share instances that build people up and shed light on possibilities and solutions. Can you name others? 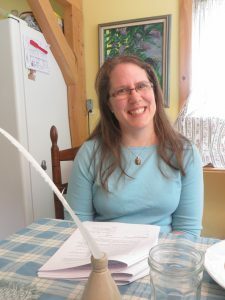 Service of Book Reviews: Is it Fair to Select a Reviewer with an Ax to Grind? Could Bernie Sanders write a fair review of a book about Donald Trump or President George H. W. Bush, known to dislike broccoli, a balanced opinion of a cookbook about that vegetable? I read Joseph Epstein’s review of Richard Aldous’s new book “Schlesinger: The Imperial Historian,” in The Wall Street Journal and learned more about Epstein’s dislikes—Harvard, the Kennedys and Schlesinger’s career choices—than about the book. Why Harvard? The university impacted the first half of Schlesinger’s life. 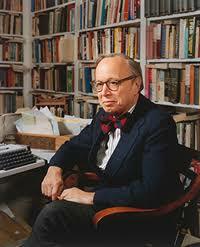 Epstein wrote: “Richard Aldous frequently notes the services that a Harvard connection afforded Arthur M. Schlesinger Jr.” His father, Arthur M. Schlesinger Sr., “was on the Harvard history faculty and, along with being an historian of originality, was a clever academic politician.” He then shared a long list of how Jr. benefited in Cambridge, subsequently landing an interesting job during WWII thanks to connections. Epstein acknowledged Junior’s many talents during this period. 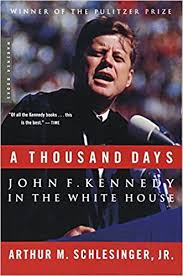 Schlesinger, Jr. returned to Harvard after the war but subsequently made a frightful career choice, according to Epstein, who was clear in his disdain for the Kennedy family. There is one political commentator on Cable who asks questions of his panelists and doesn’t give them a chance to answer because he then bellows his opinions and talks over them. I felt this review was like that. It reminds me of a restaurant review I read eons ago in which a perfectly good restaurant was trashed by a sainted reviewer because a couple next to her table argued loudly throughout dinner. She interspersed their uncivil conversation in her copy and blamed the owner for not kicking them out and gave the place a bad mark because her neighbors spoiled the meal. 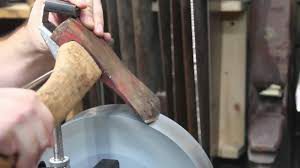 Do you think that a person with an ax to grind should be chosen to write a review even if, like Epstein, he’s a crackerjack writer with sharp wit? 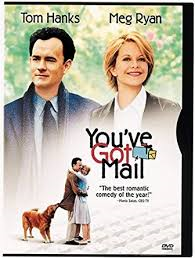 Might Epstein be irritated that Schlesinger became the darling of café society and the publishing world as a result of his political connections made after he sold out and dropped the life of academia and a promising career writing serious history? The Plaza Hotel is for sale again. It’s natural for things to change yet it still makes me sad to see what’s happened to this landmark which launched a trend to transform legendary NYC hotels into condos. The Chinese owner of the Waldorf Astoria has followed suit: Condo owners, not hotel guests, are the focus of both former hotels. A memorable childhood birthday–tea in the Plaza’s Palm Court–and subsequent visits there in its heyday were always a treat for me as were weddings and posh business and personal events in the ballroom. 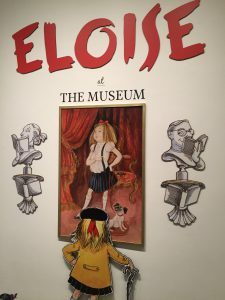 Fondness for the hotel and for its most famous fictional guest, Eloise, was why I visited–and enjoyed–the “Eloise at the Museum” exhibition at the New York Historical Society [open through October 9, 2017]. 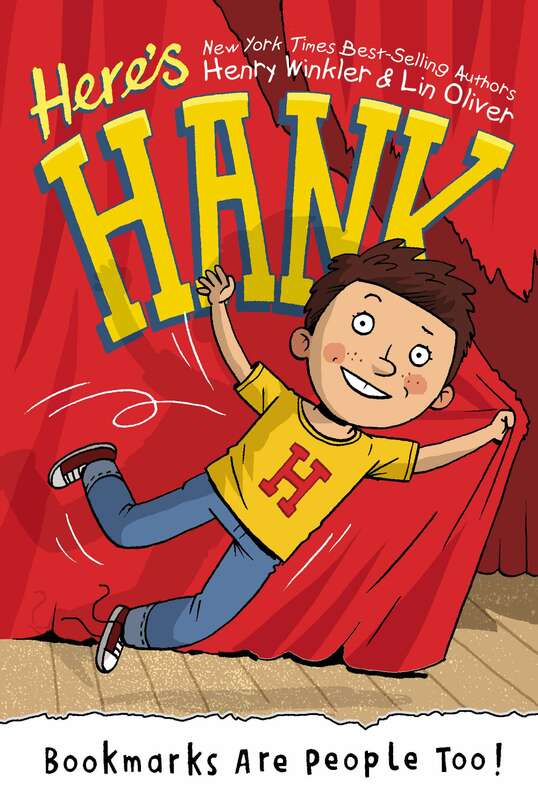 It was a charming celebration of the character, books about her as well as author Kay Thompson and illustrator, Hilary Knight. Wikipedia coverage about illustrator Knight—who at 90 writes, draws and lives in Manhattan–shed additional light: “The live CBS television adaptation on Playhouse 90 (1956) with Evelyn Rudie as Eloise received such negative reviews that Kay Thompson vowed never to allow another film or TV adaptation.” She didn’t care about the financial impact on Knight that closing down the book publishing element had. 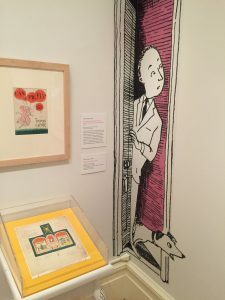 In addition to lost royalties for the Eloise books–he also illustrated Eloise in Paris, at Christmastime and in Moscow–while Thompson was alive he also didn’t see a cent for the illustrations he had created for “Eloise Takes a Bawth,” which was scheduled for publication in 1964. It saw the light of day 38 years later. Do you have memories of The Plaza Hotel? 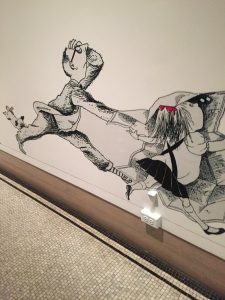 Did you read the “Eloise” books as a child and/or to children? 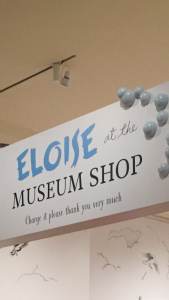 Is the Eloise appeal to NY children only? Why do some books capture generations of children’s attention–is it the story, the illustrations or a magical combination? I’ve asked the question in many posts over the last nine years of this blog: How do people get over feelings of adversity, anger, frustration, helplessness and loss? 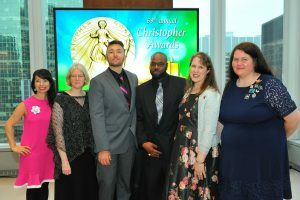 Some of the answers were peppered throughout the room this Tuesday at the 68th annual Christopher Awards by the authors, writers, producers, directors, illustrators and special award winners honored. Was it a gloomy occasion? No. Joy, hope, support and love stared pain, disappointment and loss in the face. It truly was a stunning affair. 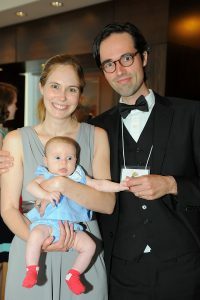 One of the winners for his book “Operating on Faith,” Matt Weber, brought newborn Rose and wife Nell from Boston to celebrate while Patti Ann McDonald, widow of NYPD Detective Steven McDonald who died in January, brought her son Conor. She was given the Christopher Leadership Award. 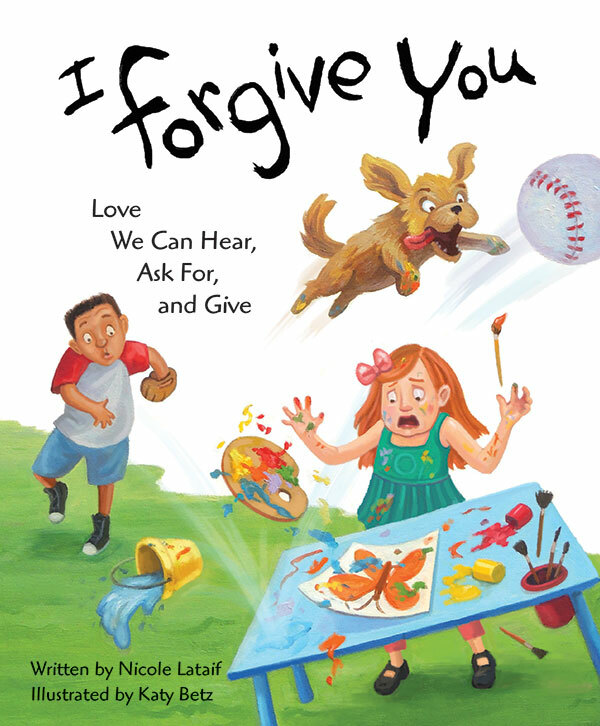 Matt’s book tells with humor how Nell helped him through a life-threatening illness months into their marriage. Conor and his girlfriend Katie Sullivan are supporting Patti Ann who is suffering with the loss of her husband. From the time he was shot and paralyzed in 1986, Detective McDonald credited Patti Ann with giving him the will to live. Caron Levis’s book for children, “Ida, Always,” helps young ones deal with loss through a story about two polar bears who lived in the Central Park zoo. The HBO documentary “Marathon: The Patriots Day Bombing,” provided an intimate look at the lives of those who lost limbs in the Boston terror attack, the physical and emotional battles they faced in the recovery process, and their unyielding efforts to reclaim their lives. Kathy Izard’s book, “The Hundred Story Home,” shares her journey from award-winning graphic designer to soup kitchen volunteer to developer of housing for chronically homeless men and women. 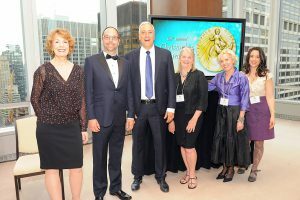 won two awards: The James Keller Award, named after The Christophers’ founder, recognizes individuals who are positively shaping the lives of children. He also won for his book “Pint Sized Prophets: Inspirational Moments that Taught Me We Are All Born to be Healers.” Dr. Chuck, as he likes to be called, is a pediatric rehabilitation doctor. He founded Timmy Global Health, which enlists students and medical volunteers in its mission to bring healthcare to those in need around the world. “We weren’t all born to be doctors and nurses, but we were all born to be healers,” he said. 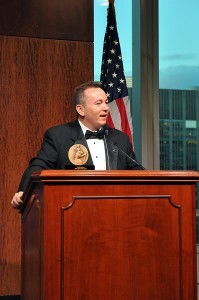 He arrived at the awards fresh from a trip to China. This is just a sample. There were 22 winning feature films, TV/Cable programs, and books for adults and young people honored this year. The ancient Chinese proverb—“It’s better to light one candle than to curse the darkness”— guides The Christophers’ publishing, radio and awards programs. The 72 year old organization has lived through plenty of periods of extraordinary rancor and divisiveness and it never loses hope. Have you read books or seen films or TV/Cable programs that fit this saying? Personal experiences inspired the authors to pick their topics whether Henry Winkler–the Fonz—who is dyslexic; Carmella Van Vleet whose daughter suffers from ADHD; Lois Brandt whose childhood friend’s refrigerator was shockingly empty and Eric Walters who founded and runs the Creation of Hope, an organization to care for orphans in Kenya’s Mbooni District. 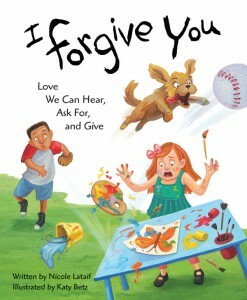 As for Nicole Lataif’s subject–forgiveness–who hasn’t struggled with this? Are you surprised at the sophistication of these subjects for little ones? 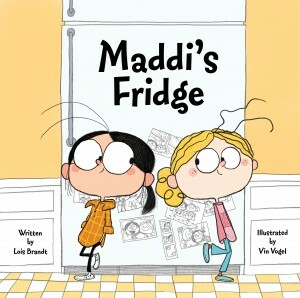 Do you think that topics covered in children’s books reflect their era? If this is so, how come some last for generations? 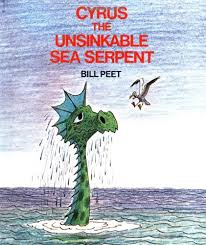 What books you read as a child–or to your children–made the biggest impression on you? Father/daughter travel gurus Arthur and Pauline Frommer warned listeners to their weekly radio show several Sundays ago about taking online reviews to heart. So many are written by friends and family of the hotel or bed and breakfast covered, they cautioned and, they claimed, some hire marketing firms to generate positive reviews. 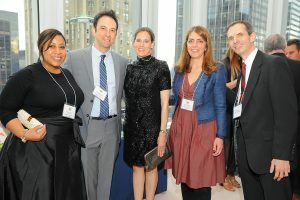 The Frommers [photo, right] admitted that they sounded self-serving in addressing credibility when they advised listeners to read what the media had to say about a place. Pauline said that countless times she’d find a bed and breakfast that was far nicer and cheaper than the ones in an area with all the so-called great online reviews by guests. I admit to being an article saver and when I visit a place, I’ll give a particularly toothsome sounding restaurant or tempting boutique I’ve read about a try or look-see. I have been led astray plenty by the press. In Spain, we were treated abominably by the restaurant staff in a place that got a rave review and pages of photos in a major food magazine and in Paris I went out of my way several times during different stays to visit totally nondescript, not worth a detour spots in bland neighborhoods that had been touted by a reporter writing for a major newspaper. As a PR person my disappointment may drive me more nuts than your standard disillusioned reader as it is very difficult to get coverage in these venues for valid businesses and services. I wonder who vetted the dumps I wasted my time and sometimes my money on. Yet I agree with the Frommers. You are generally better off depending on media over “other customers” when making a choice of a product, service or place. I’ve had clients whose businesses thrive on good reviews by tech bloggers. Their products are put through rigorous tests by knowledgeable enthusiasts and reporters. Buyers of apps or gizmos do well to check them out. Some examples: crunchgear.com, engadget.com, geardiary.com, techtrackr.com or tnerd.com. As for movie reviews, at least you get an idea of what the subject is or if a flick is an abysmal flop even if you don’t always agree with a reviewer’s rave. We saw “Sarah’s Key” the other day with benefit of no reviews but that’s the exception. We liked the film a lot. I love a well written, informative and entertaining book review. Businesses have a terrible time when a nut writes an unfair review on a website or blog. 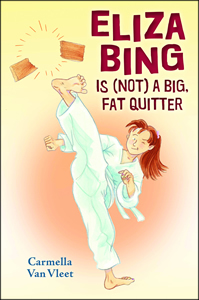 It can’t be erased and appears every time potential customers Google the name of the business. I’ve known reputable, responsive business owners who tear out their hair when this happens. Have you fallen for inaccurate reviews written by other customers or the press? Do you rely on or ignore reviews? Are reviews in some industries better than others?